a world class paradise for mountain bikers. 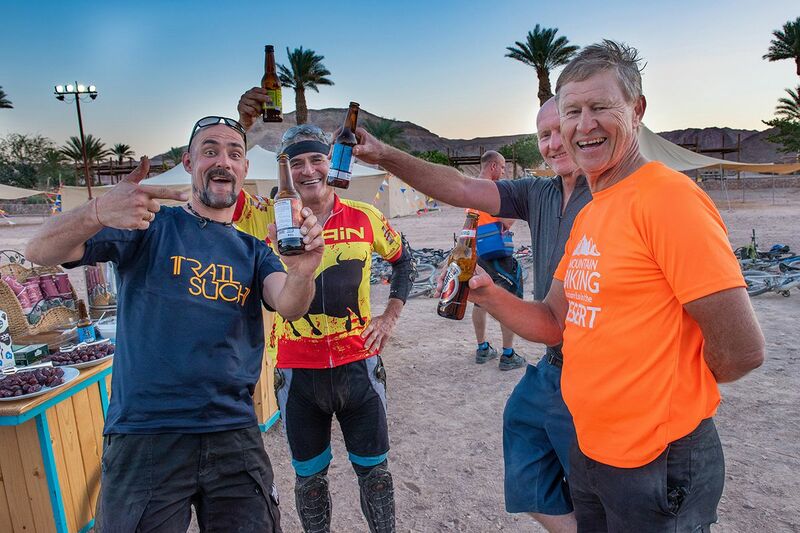 We at Desert BikeAir invite you to an exceptional desert mountain biking experience, riding through breathtaking scenery, meeting riders from all corners of the globe, absorbing the desert ambiance. 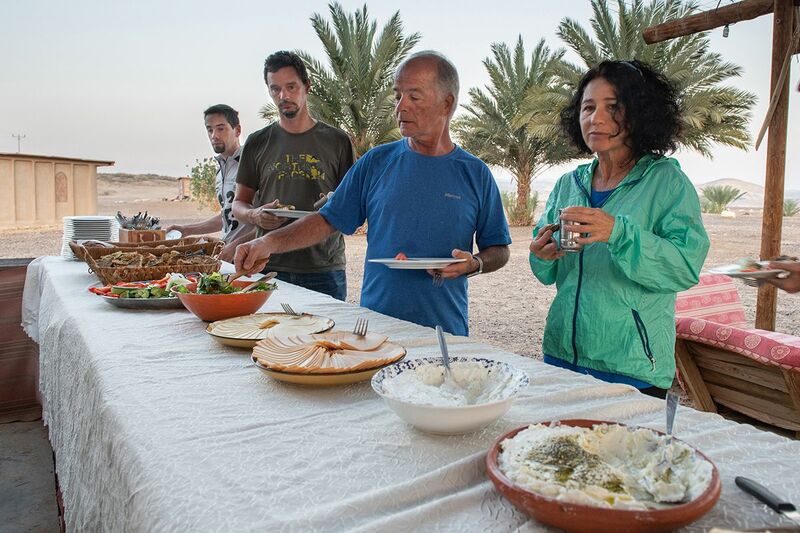 Our packages includes it all: Accommodation in unique desert camps, optional high-end bike hire, all your culinary needs, including authentic local food, local desert made wines and free local craft beers! Full logistical support, airport transfers. 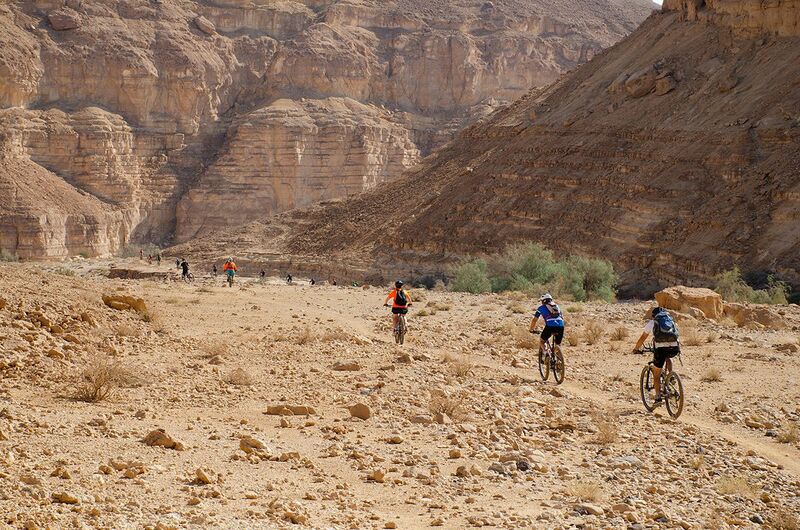 Best winter trails in Israel, some of it on the old spice road. Great and practical organization. Friendly team. Real sporty nature tour. Amazing journey! Super well organized and the food is great! 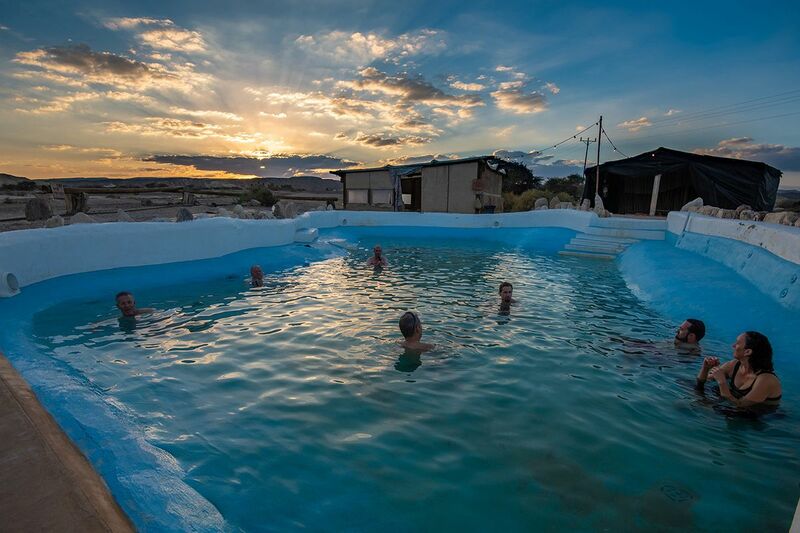 The organizers of the trip are all very very nice people and this is a once in a lifetime opportunity to experience the full beauty of the Negev desert. 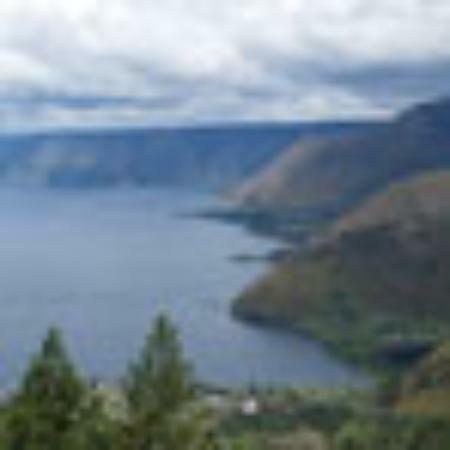 Amazing and safe trails, interesting and pleasant guides with a perfect knowledge of the area, very good atmosphere of friendship, great international company, very good local food,... 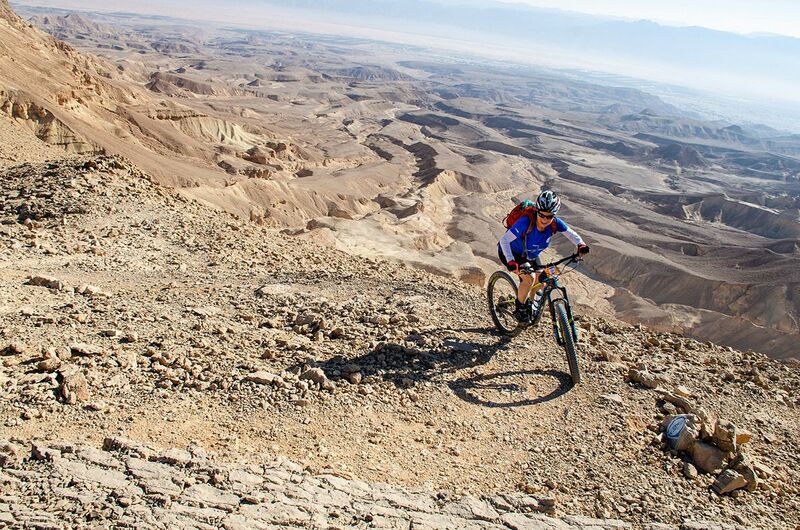 I highly recommend this wonderful MTB adventure in the magnificent Negev desert! 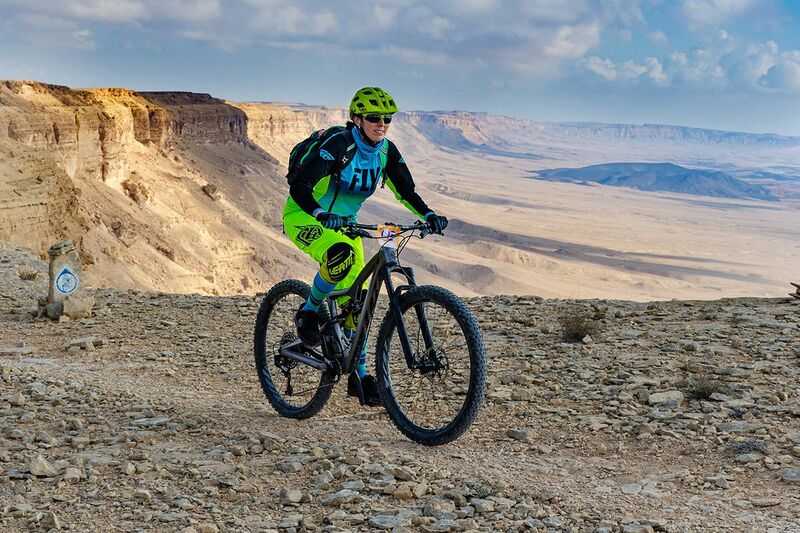 3 days of very very pleasant riding, magnificent views of the beautiful Negev desert, excellent guiding, hard ascents and fast awesome descents, great company and tiptop organization with a lot of attention to every detail. Highly recommended! Early bird special! 15% off for the first 50 to sign up! 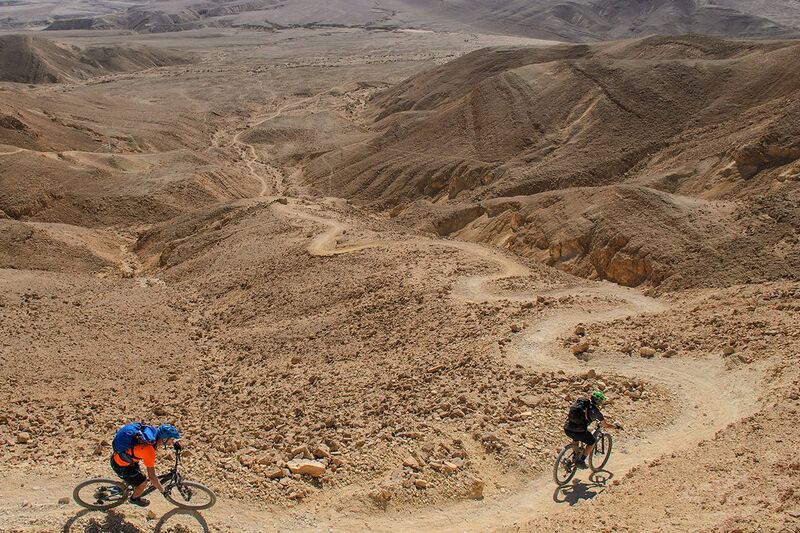 The very high standard Israel Bike Trail is a combination of flowing singletracks dirt roads, with a few technical challenges that can be easily negotiated on bike or on foot. Bike-friendly for both experienced and casual MTB riders, the trail is well marked and easily followed without a map or a GPS. Each day, mountain bikers wake up and start biking whenever they’re ready. Biking is either on your own or in small groups – which-ever suits you best. 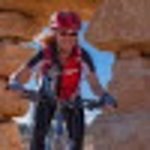 Our experienced mountain biking guides will be last on the trail, bringing up the rear and helping out when-ever necessary. 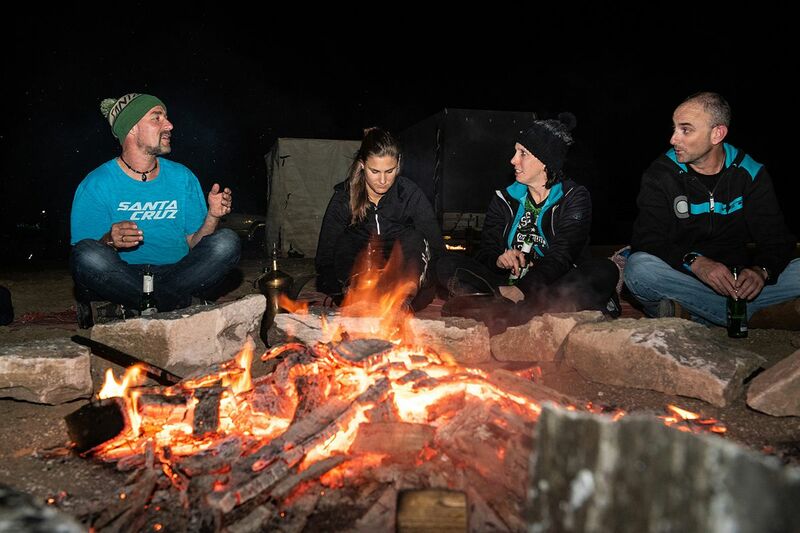 Each biking day ends with a campfire and cold beer under the stars, leading up to a sumptuous dinner with meat and vegetarian options. 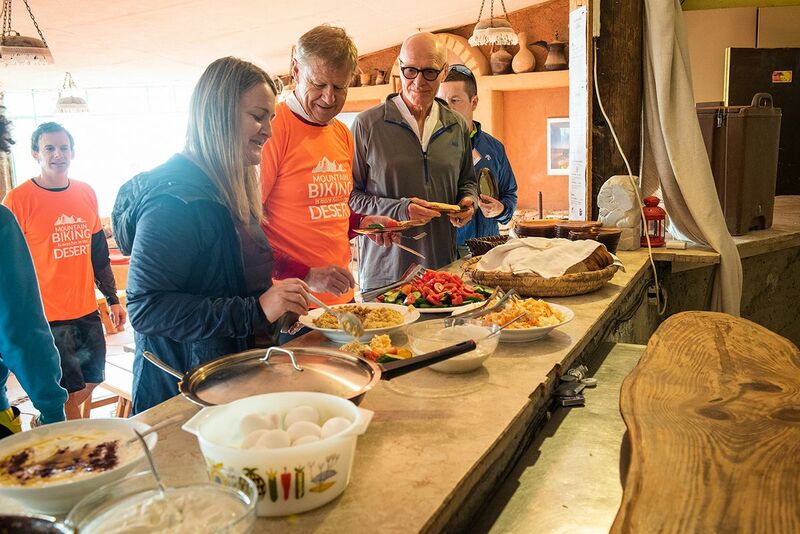 Each day starts with a generous Israeli breakfast, then pick up or make your lunch pack, and head out for another incredible riding day in the Negev! 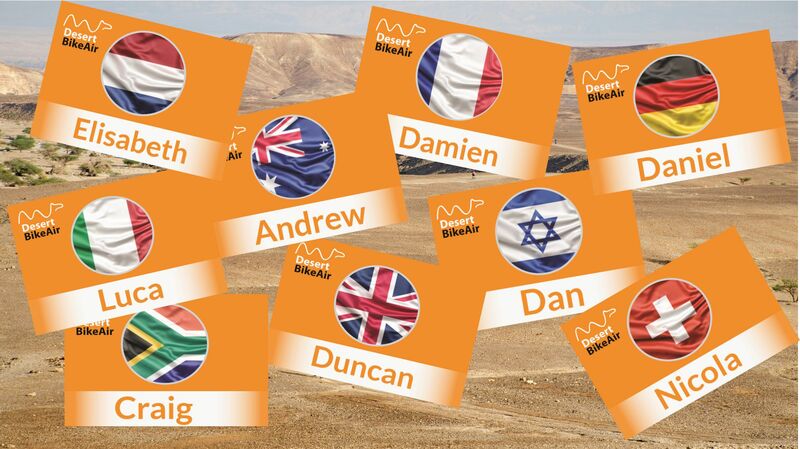 Meet people from all over the world sharing all the love to mountain biking. Ride with them during the day, and join them during the evening for a local craft beer next to the campfire. Can you imagine the vibe? 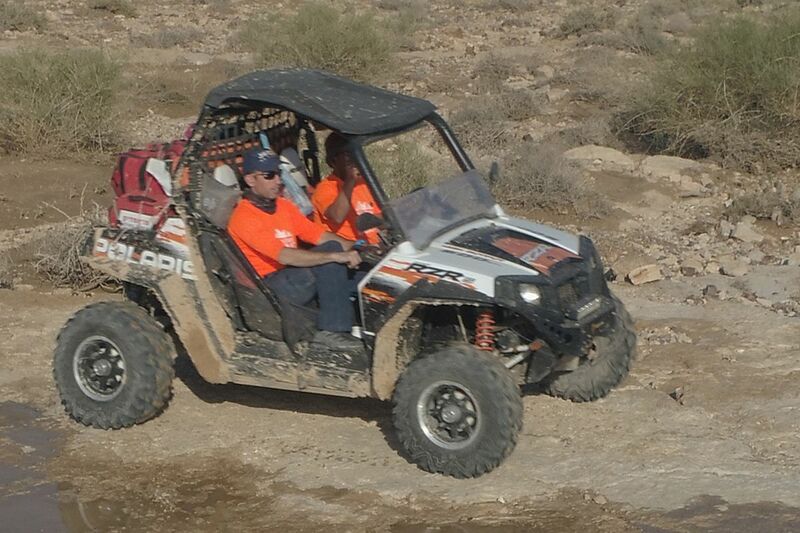 Our 4-by-4 vehicles, equipped with all the necessary gear to help solve problems along the trail. 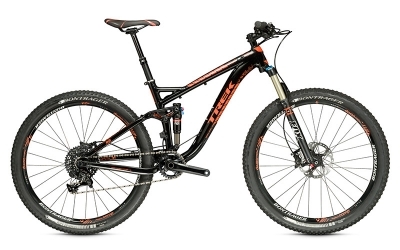 We invite you to hire one of our brand new Trek Fuel EX 9 27.5 (*), offering 120mm Fox suspension, Sram X1 1×11 gear, Shimano XT brakes, and off course an adjustable seat post. In addition, we’ve got 15 Trek demo bikes of all types – ask us for the full list. Bike hire price is 40 Euro per day. 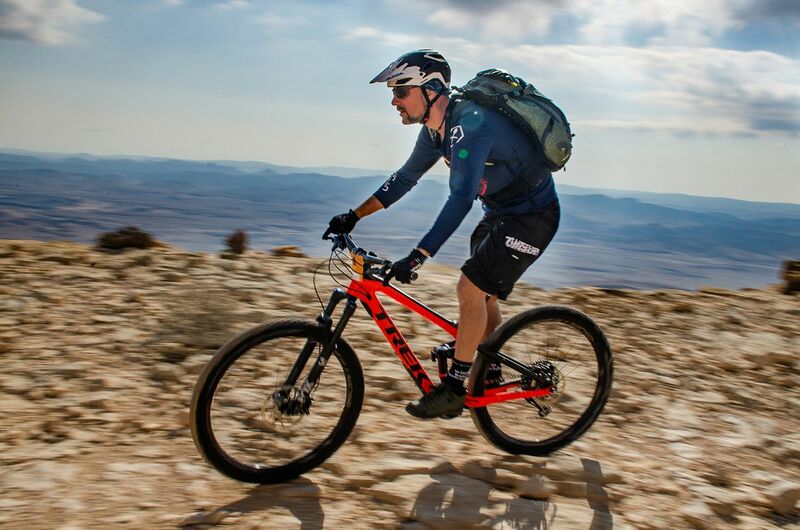 In case you consider bringing your own bike, we recommend a full suspension bike of 100-140mm travel. Gear: We recommend a back pack capable of carrying 3 liters of water, basic fixing tools, and some food. Regular helmet is off course mandatory, sun glasses. 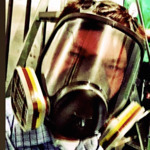 Protective gear is not required, unless you are used to put them on in any ride. Basic first aid is always good to have. You’ll need two suites of biking clothing, something warm to wear in camp during night time, and that’s it. Your personal bag will be transferred by our crew from each accommodation to the next, so there is no need to schlep anything along the trail.. 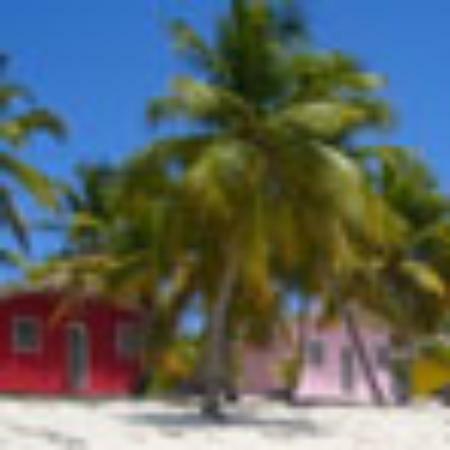 Wish to receive more information? 15% off for the first 50 to sign up!